Caption - Portuguese Railways (CP) metre gauge scene at Mirandela loco shed in August 1978. 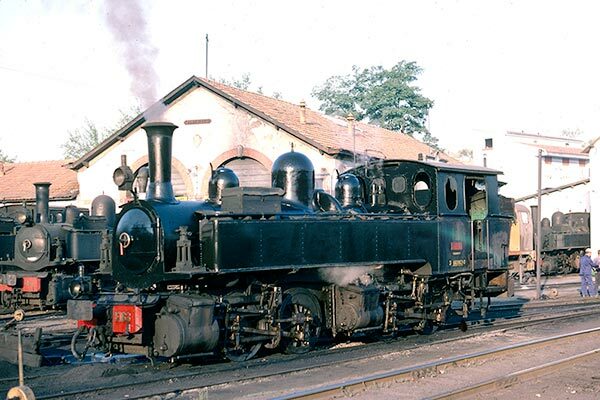 0-4-4-0T Mallet E163 (Henschel 1908) is fresh from overhaul and is about to work a train to Braganca on the line up from Tua in the Douro Valley. The days of steam are numbered despite many steam locos in the depot. A class 9020 diesel is a sign of things to come and has already replaced some of the steam diagrams on the branch.